What will my kitten look like? 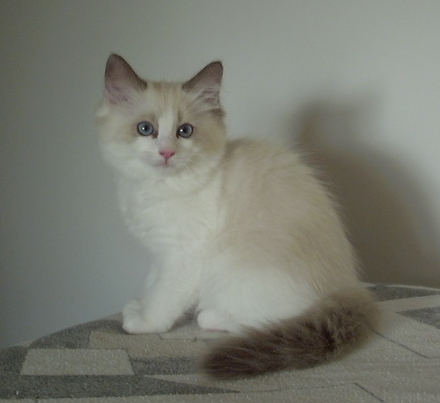 Below are examples of kittens, and adult Ragdolls in a variety of colors and patterns. When choosing a favorite color/pattern, you should look at a mature adult. 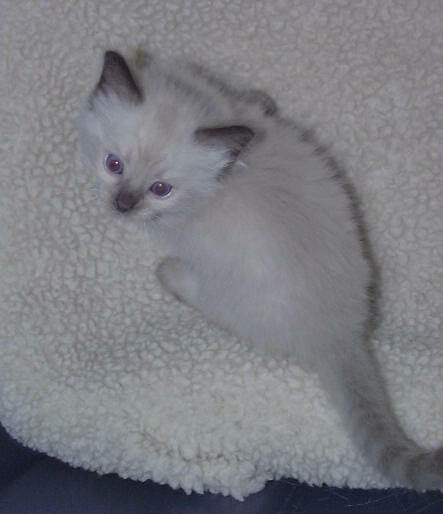 Ragdoll kittens are born white, and the color becomes richer as they mature. 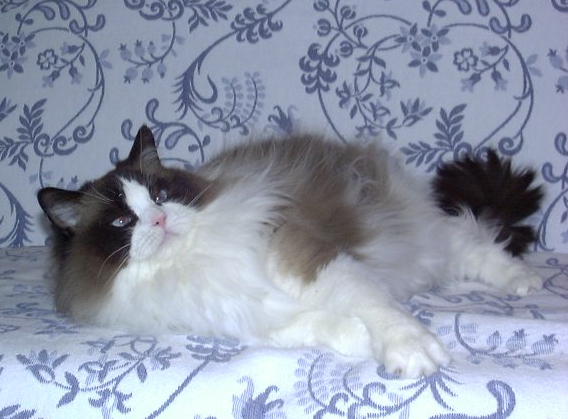 Most Ragdolls don't achieve full color until they are at least three years of age.